Though the central government has done a lot for the development of the health and the well-being of the pregnant women in the villages and cities, more is required for an overall safety of the mother and the unborn child. The Janani Suraksha Yojana 2017 is a revised step that the BJP government has taken towards achieving this goal. It will provide financial and medical assistance to the expecting mothers. Improving the state of expecting mothers – The availability of the medical facilities, in the rural areas is not up to the mark. With the assistance of the scheme, the government will not only reduce mortality rate of mothers but will also lower the death of the children. Targeting the LPS – Though the scheme has been implemented in all states and union territories, the main target is to develop the situation of the Low Performing States such as Bihar, Odisha, Rajasthan, Jharkhand, MP, UP, J&K, Chhattisgarh etc. The program aims at popularizing institutional deliveries in these areas. Antenatal Check-up and post-delivery upkeep – All women who register under the scheme will be given at least two Antenatal Check-ups, absolutely free of cost. Apart from this, the ASHA and Anganwadi workers will also assist them in the post-delivery period with related services. Tracking the cases – With the assistance of the medical workers, the micro birth chart will be prepared. It will contain information about the pregnant women. All registered women will be provided with a JSY card and a MCH card. Primary role of ASHA and Anganwadi workers – The two main weapons that the scheme uses, are the ASHA and the Anganwadi medical workers. These medical workers will provide the pregnant women with the financial and the medical services. Forming a link between the women and the government – Unless the government is made aware of the situation, it will not be able to make amendments. The Anganwadi and ASHA workers will work towards bridging the gap between the two and keep the government informed about the situation of the expecting women. Incentives for the medical workers – To provide encouragement to the ASHA and Anganwadi workers, the central government has announced that these workers will be given incentives for each case they handle. For BPL category – The pregnant women, residing in any urban or rural area will be allowed to enroll under the JSY, only if they fall under the Below Poverty Line. All poor and backward women will be targeted under the scheme. Age related specification – The central government will provide the monetary assistance to the pregnant women only if they are or above the age of 19 years. Anyone below this age mark cannot enroll. For institutional births only – All women who have enrolled under the JYS scheme will be provided with the monetary assistance only if they deliver in government hospitals or in any private institute that has been selected by the government. Two children only – All the medical and financial facilities will be provided to the pregnant women, for giving birth to two children only. Birth of dead children – If the pregnant woman gives birth to a dead child, before or in between the time span of giving birth to live children will be considered as valid cases. The women will be given the money as promised under the program. In rural areas – All registered candidates in the rural areas will be given a sum of Rs. 1400 if they give birth to the child in government hospitals or any private hospital that has been selected by the government. In urban areas – For the candidates who reside in the urban areas, the amount of financial assistance is Rs. 1000, all other factors remaining constant. For High Performing States – All states that have an institutional birth of more than 25% are considered to be High Performing States or HPS. 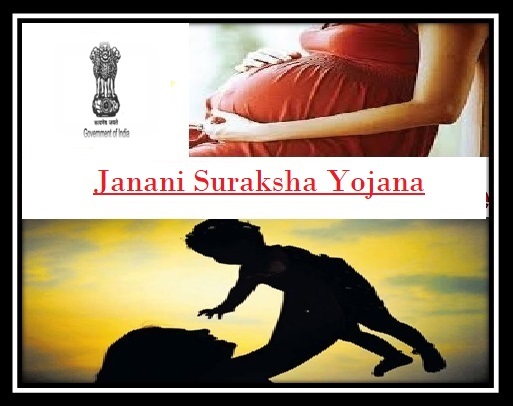 In rural areas – For all registered pregnant candidates, living in rural regions of the High Performing States, the JYS scheme will fetch them an amount of Rs. 700. In urban areas – For all registered candidates, residing in the urban areas of the High Performing States, the JYS scheme will fetch an amount of Rs. 600. Birth at home – Though the main aim of the scheme is to increase the percentage of institutional births, the scheme has not completely overlooked the women who want to give birth at home, with the assistance of the medical practitioners of the Anganwadi or ASHA. These candidates will get an amount of Rs. 500, irrespective of the status of the state. Aadhar card – For enrolling under the scheme, the women will have to provide their identification proof and residential proof. These two requirements can be met by providing a copy of the Aadhar card. Now, the production of the Aadhar card has been made mandatory for all government programs. BPL card – As the scheme has been designed for assisting the poor and backward classes, candidates who have the BPL card will stand a better chance of getting the facilities. Though BPL card is not mandatory, some income certificate must be produced. JYS card – To acquire all the medical and monetary facilities, the production of the JYS card is a must. The card will be provided by the ASHA or Anganwadi workers, post registration. The application form, for registering under the scheme is available on the official portal of the scheme. This website is operated by the government. Apart from this, the ASHA and Anganwadi workers will also be able to provide the interested candidates with the form. It is also available in all government hospitals. All interested candidates will have to log on to the authorized website of the scheme and then click on the link that is marked as “Apply online.” Doing this will provide access to the digital form or the e-registration form. The form has many sections. Each section has been provided for entering a specific detail. Information like the name of the expecting mother, residential address, age, cast, annual income etc has to be entered. Once all details have been entered, the candidate will have to check the data for eliminating all possibilities of errors. After checking the form and attaching all required documents, the candidate needs to click the “Submit” button. It will generate a code that must be noted for future use. Once the authority has done the verification, the JYS card will be generated and it will be sent to the candidate via post or the ASHA workers. For offline registration, the candidates need to fill the print out of the registration form with the required details. After attaching all necessary legal papers for verification, the form must be submitted to the ASHA or Anganwadi centers. janani suraksha yojna form not available.